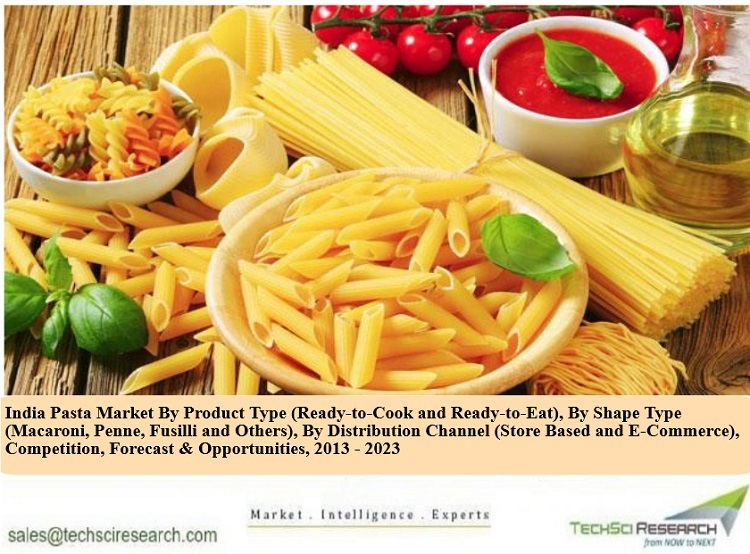 According to a report released by TechSci Research, ‘India Pasta Market By Product Type, By Shape Type, By Distribution Channel, Competition, Forecast & Opportunities, 2013 – 2023’, India pasta market is forecast to register a CAGR of around 17% during 2018 – 2023 on account of growing demand for pasta, especially from young population, and changing preferences of Indian consumers along with developing taste for different global cuisines. Moreover, increasing household disposable income of middle-class population coupled with rising western influence is resulting in higher demand for packaged and ready-to-eat food products, which is consequently expected to propel growth in India pasta market during forecast period. Region wise, West India is the largest consumer of pasta in the country owing to large urban population base and rising working women population. Bambino Agro Industries Limited, Nestlé India Limited, ITC Limited, Savorit Limited, FieldFresh Foods Private Limited, MTR Foods Pvt. Ltd., and Borges India Private Limited, among others are some of the major companies operating in India pasta market. Among product types, Ready-to-cook Pasta accounts for the majority share in India pasta market and is expected to remain the dominant segment through forecast period. 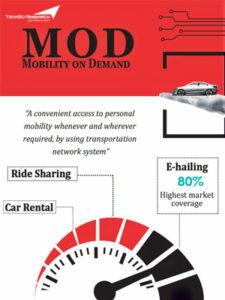 The advent of e-commerce industry has created new routes for manufacturers to reach their customers. Online sales channel has enabled companies to widen their distribution reach and serve their customers even in the farthest of regions. Further, rise in the number of tech savvy people coupled with hectic lifestyles, especially of urban population, is anticipated to boost the sales of pasta through the online sales channel. Nevertheless, store-based sales channel would continue to dominate India pasta marker during forecast period. “Shift towards packaged food products is increasing in India owing to rising working women population and busy-lifestyle of urban population, which is positively influencing the country’s pasta market. Moreover, pasta manufacturers are focusing on expansion of their product portfolio and are introducing pastas of different shapes in the Indian market. Additionally, introduction of pasta variants made from whole wheat, quinoa and gluten-free ingredients that cater to the health-conscious customers is further expected to fuel growth in the coming years. Rural India accounts for majority share in the country’s total population, and with 80%-85% of pasta consumption being accounted for by urban India, the rural segment offers enormous growth potential for the pasta players operating in India.” said Mr. Karan Chechi, Research Director with TechSci Research, a research based global management consulting firm. “India Pasta Market By Product Type, By Shape Type, By Distribution Channel, Competition, Forecast & Opportunities, 2013 – 2023” has evaluated the future growth potential of pasta in India and provides statistics and information on market structure, size, share and future growth. The report is intended to provide cutting-edge market intelligence and help decision makers take sound investment decision. Besides, the report also identifies and analyzes the emerging trends along with essential drivers, challenges and opportunities present in India pasta market.